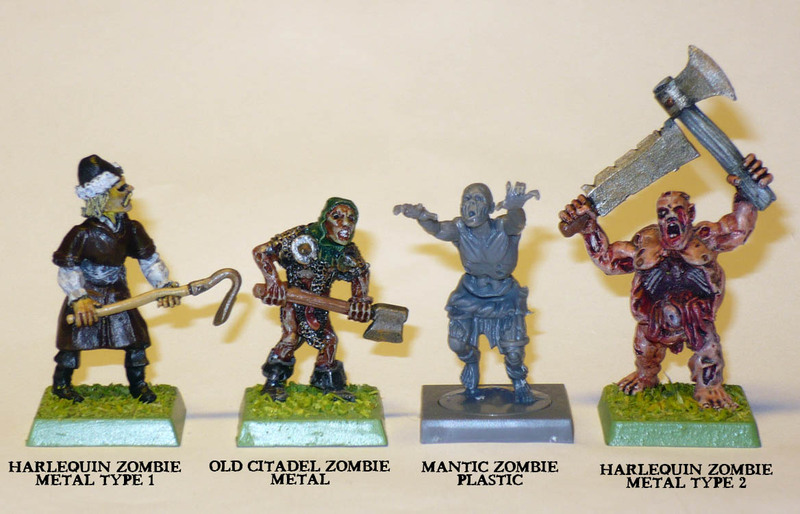 Someone in the Mantic Forums requested a comparison shot of Harlequin Miniatures vs Mantic undead. So I obliged. 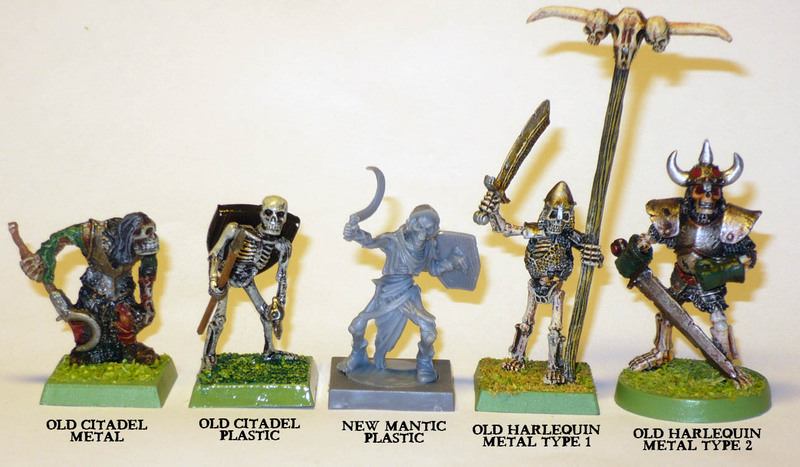 Harlequin miniatures was the Mantic of it’s day (late 90’s early 00’s), offering less expensive alternatives for Warhammer Fantasy Battles, without stating that was what they were for. The quality of the sculpts (and sizes of the figures) varied wildly depending on who did the sculpting. Here is a comparison shot of some zombies, as you see they are much closer in size.